New ‘Support’ Blog for the Fight Yourself Fit! Well done to Steve and John who have taken up the ‘Fight Yourself Fit’ – Ultimate 60-Day Punch Bag Workout challenge. 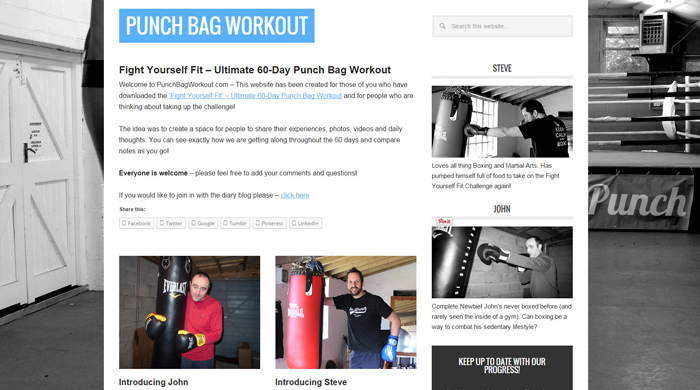 Last week saw the creation of PunchBagWorkout.com a daily blog site that will be mapping out Steve and John’s progress over the next 60 days. 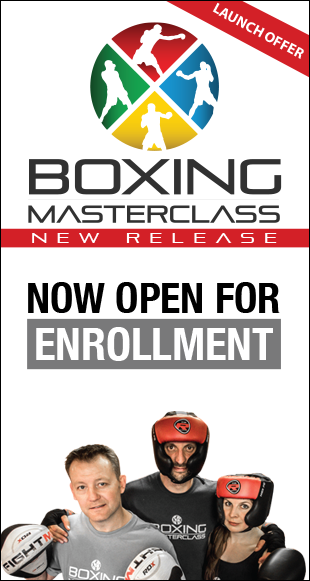 They will be writing about their own experiences with posts, pictures and videos – to tell you what they’ve found hard, their weight loss goals and more importantly how their boxing skills and techniques have improved. This site has been especially designed as a “go to” place for people already participating in ‘Fight Yourself Fit’ or for people who are thinking about taking up the challenge. 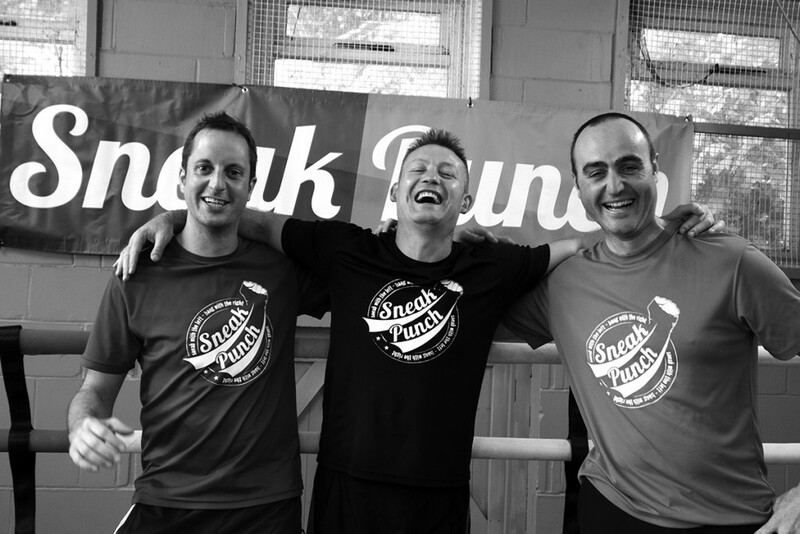 PunchBagWorkout.com will give you a REAL insight into the program on a daily basis, and show you what to expect – the challenges, struggles and successes on the way – plus you get to see their results! Track Steve and John’s progress! – as they take up the Fight Yourself Fit – Ultimate Punch Bag Workout. So who are the 2 contenders? PunchBagWorkout.com is for anybody that is interested in Fight Yourself Fit. If you’re thinking of doing the workouts, you’ve already started or even completed the 60 days, we would love to hear about your Fight Yourself Fit experiences. We would be delighted to receive any questions or comments you may have. Take a look, support the guys, give them some encouragement – I know they’d appreciate it.